A term life insurance policy that pays a lump sum is the most common type of life insurance available. The insured makes premium payments each month for a set period, called the term, which is normally 15, 20, or 25 years. If the individual dies within the term, the policy pays a lump sum to the named beneficiaries. If the individual is still alive when the term expires, a payment is not made. With decreasing term life insurance, the pay-out and the premiums decrease over time. Premiums for term insurance are established when the policy is purchased and are based on the age, smoking, and health status of the individual, the selected term, and the level of coverage. In general, premiums for term life policies are less expensive than those for whole life policies, which are always guaranteed to make a lump sum pay-out. Individuals who have a risky lifestyle, career, or hobbies often pay higher premiums. Some insurance companies increase premiums if they discover that claim levels are unusually high. Life insurance payouts are tax-free but if they are not set up correctly, they could become part of the estate. If an estate is large enough to be subject to inheritance tax, up to 40 percent of the insurance benefit could be taxable. Therefore, consumers should consult with a financial advisor before making large financial decisions like this. By effectively managing their finances, they reduce the burdens placed upon surviving loved ones. 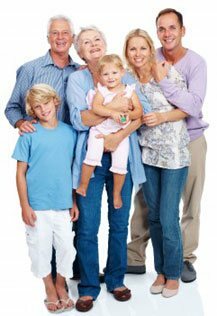 Life insurance benefits are designed to repay debts and provide financial support to surviving dependents upon the death of the insured. Though no one likes to think about death, it is inevitable. Leaving a sum to help smooth the transition upon your passing is a smart idea. Mortgage companies require that mortgage holders with a spouse or children have a life insurance policy. A decreasing term policy is perfect in this situation because it is designed to pay off the mortgage when the insured dies. It is for this reason that decreasing term life insurance is also called mortgage life insurance. If a spouse or partner does not work, it is even more important to provide for that person financially. While the individual may be able to get a job, there may be child and house care expenses to consider. The life insurance payout can be used to cover living expenses until the person begins earning steady income. Even someone without a spouse or children should consider this policy if there are other surviving family members. It would be unfair to saddle them with debt that is not their own. Providing enough money to repay existing debts is the considerate thing to do. Since the benefit payout for a decreasing term policy declines over time, individuals must purchase a sufficient level of coverage at the start. A popular guideline is the current balance on the mortgage since the payout is often used to repay this. When reviewing policies, consumers must find out how much the payout will decrease each year. They can then use this and the current mortgage balance to calculate the level of coverage required. The coverage level should also reflect enough money to repay other debts like credit card balances, auto loans, personal loans, and providing extra cash for survivors to apply toward living expenses. Adults with minor children should also include enough money to cover day care and higher education expenses. Unfortunately, far too many people underestimate the total amount of money that surviving beneficiaries require. Creating a budget that includes expected future expenses makes this task much easier. There is no need to go overboard in any situation because being over-insured results in higher premiums throughout the term. Policy term is another factor that plays a big role. Most people select a term that lasts until the normal retirement age of 60 or 65. Those who have young children select a term that runs until the children are financially independent. Choosing a term that lasts any longer than these timeframes is often wasteful because the insured will be living on a pension by that time. By combining a sufficient benefit level with an adequate term, individuals know how much coverage they need. A decreasing term life plan is cheaper than regular term life insurance. This makes it more affordable to consumers who want to leave enough money to repay a mortgage or another large debt. As the balance on this debt decreases year after year, so does the lump sum payout provided upon the death of the insured. Options like critical illness insurance and a terminal illness clause can be added to the plan to cover other health-related situations. Careful budgeting is necessary when purchasing this type of life insurance because by the end of the stated term, the balance will be zero. If the insured dies within the term and the payout is not sufficient to cover the mortgage and other debts, surviving beneficiaries may become financially distressed. If the benefit is not placed in trust, the payout may be delayed and could be subject to inheritance tax. A payout will not be made if the insured lives past the designated term. The policy will end and will not have a maturity value. Payments must continue during the policy term or coverage will be cancelled and premiums will not be refunded. If the policy does not feature a guaranteed premium, the premium may periodically increase upon review of the policy, which usually takes place every five years. If you think decreasing term life insurance is right for you, use our online form to request quotes from the leading UK insurers. We will review the hundreds of plans available, saving you the time required to do this research. You will receive quotes for the coverage you want and can then compare the policies to find the most comprehensive plan for the least amount of money.